Ladies always look forward to wearing beautiful and attractive looking earrings for every occasion. We often buy expensive earrings from the jewelry stores and end up wearing them only a few times which is clearly waste of money. All you fashionable girls out there must learn how to make diy earrings at home with some of the cheap crafts and supplies so that you can save a lot of money and have satisfaction of doing something creative for yourself. 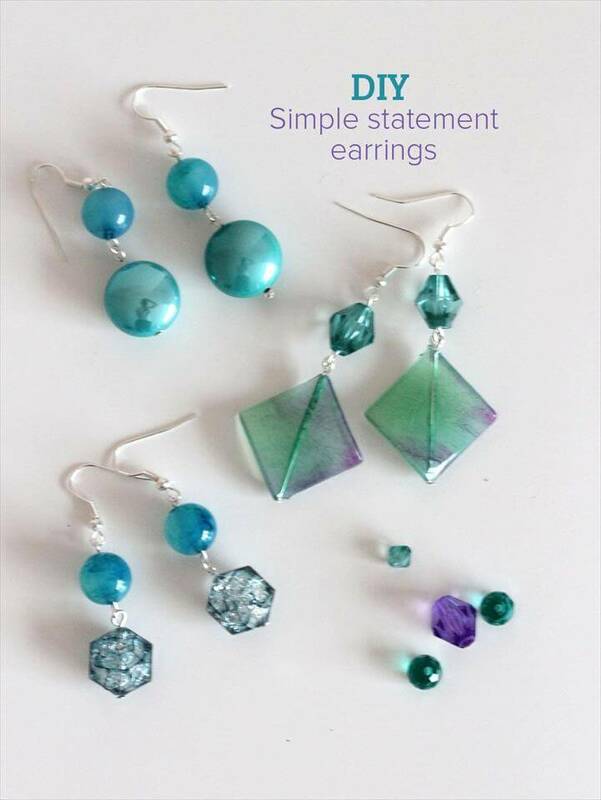 There are many different ideas which you can use and make some stunning earrings. The efforts that you are going to make for these projects are surely going to pay you back and you will not regret them anymore. The projects that have been described here are all given in step by step manner so that you can get along with the procedure easily and make some of the extra ordinary masterpieces. The first project that you see here are of creating your own trapeze earrings that are so gorgeous that you definitely can wear it with a lot of your outfits and enjoy wearing them due to their uniqueness and style. Next we have polymer clay earrings that you see here which are so elegant and delicate that you definitely want to try them as soon as possible. In this project gold flexible wire has been used along with the polymer clay to make the hanging part of the earring. Besides this we have another idea of making tassel earrings that you can make in different colors according to your choice and matching outfits. Along with the tassels you will have to have the hooks for the earrings that you can make with the gold or copper wire. Then we have beaded earrings as well that are also very easy to make and light weight so that the young girls can easily wear them at any occasion or a party easily and manage well. You can also change the beads of the earrings and if you want to match them with the outfits. All the above discussed 10 DIY Earrings – Fabulous Ideas Step By Step ideas are wroth sharing and trying as they are not only budget friendly but also quick and easy to learn and make.